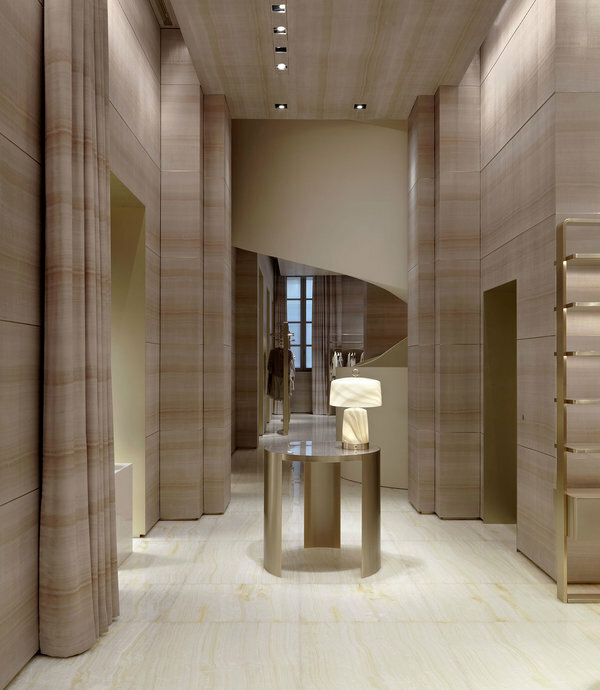 Italy’s Giorgio Armani reopened its Milanese flagship store on April 8th, after the space underwent a complete redesign. 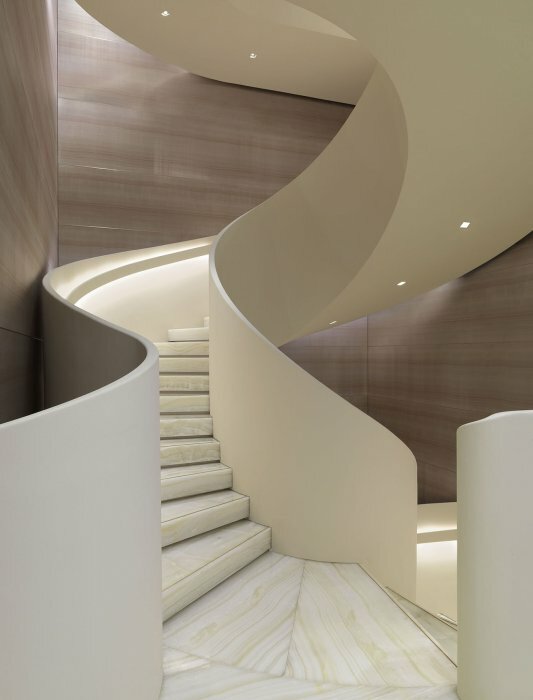 The Armani flagship store on Via Montenapoleone in Milan has been entirely redesigned by Giorgio Armani and his team of architects who wanted to bring out the original geometry of the building, not only inside but also outside, through the reopening of the windows on the upper floors and the ground floor windows. The store covers 1,082 sqm spread over three floors. The ground floor is entirely dedicated to women’s clothing and the first menswear. On each floor accessories collections are presented in dedicated areas, as well as fragrances. On the second floor, the store features a space reserved for the made to measure and one dedicated to the most elegant prêt-à-porter gowns from the Giorgio Armani label. The interior design is bespoke for the store. Returning to the original architecture of the building, each floor sees a succession of rooms connected by elegant portals with platinum trim. All the rooms have been customized: the flooring, different in each room, was made with marble and onyx, matching the panels with printed silk lining on the walls varying in color from petrol blue, silver , dark green to ivory. The chairs, designed specifically for the boutique, the Haydes Hack lamps and carpets belong to the latest Armani / Casa collection. “The reopening of the boutique in Milan comes at a very important time for me, as I celebrate forty years of my company, in conjunction with Expo 2015. The operation therefore has a strong symbolic meaning and aesthetic. It summarizes the enduring values of my work and projects them into the future. I wanted to create a boutique with an elegant atmosphere that welcomes the customer and guides him in the different environments. ” says Mr Armani.